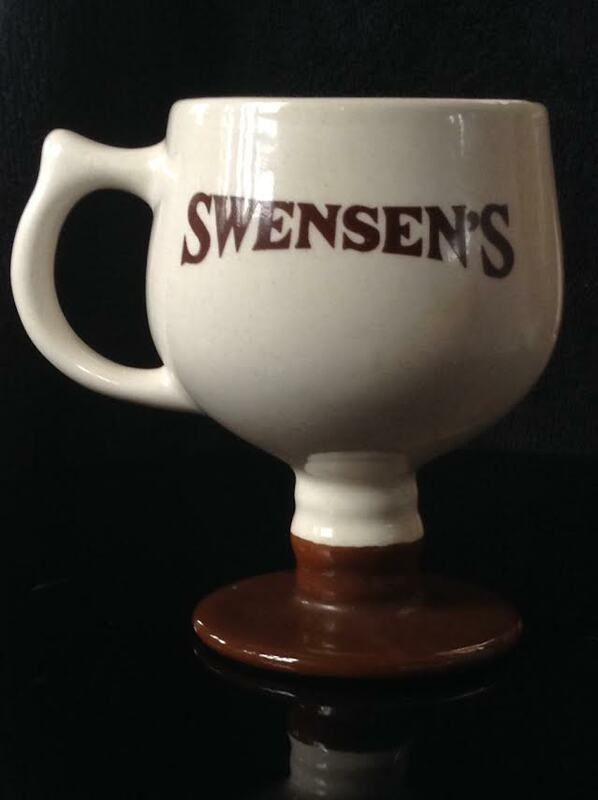 As an international company Swensen's will have had many producers of mugs. I have seen what looks like this shape and one other on either google images or eBay. It IS stoneware. No marks for maker. In America these were made by Caribe. "In 1951 Sterling China purchased the Crane China Company which was founded by Iroquois China. Sterling renamed the factory Caribe China Company. The china was produced from 1951 to 1976 in Vega Baja, Puerto Rico. They used various formulas which produced opaque or slightly translucent ware. Bottom markings are Q-3 which means it was made in 1964 between April - June." 1666 would have been made in April 1970. I'm not familiar with that brown base ....? A daring move I would have thought Ev! I will check the brown to see if I have anything matching. As they are/were* an international franchise I suspect they would have required some uniformity from pottery to pottery, country to country. *Swensen's is still in operation but not in New Zealand. I can take some more pics if you like Ev, and will review the internet. I have seen two different shapes. Within this shape I have seen two handle variations. 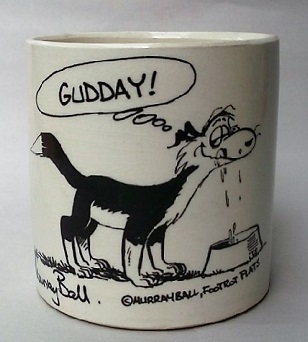 This one matches an example that takes me to an eBay page for "Caribe" mugs. The name refers to Caribe China from Puerto Rico. I have seen this shape of Caribe mug with many different brandings, not just "Swensen's". The example with a slightly different handle also has a variation on the Swensen's mark. The completely different shape is referred to as a coffee mug. I've changed my mind in the light of day and will wait for further confirmation. I hadn't even checked out the name Swensen so thanks for that.